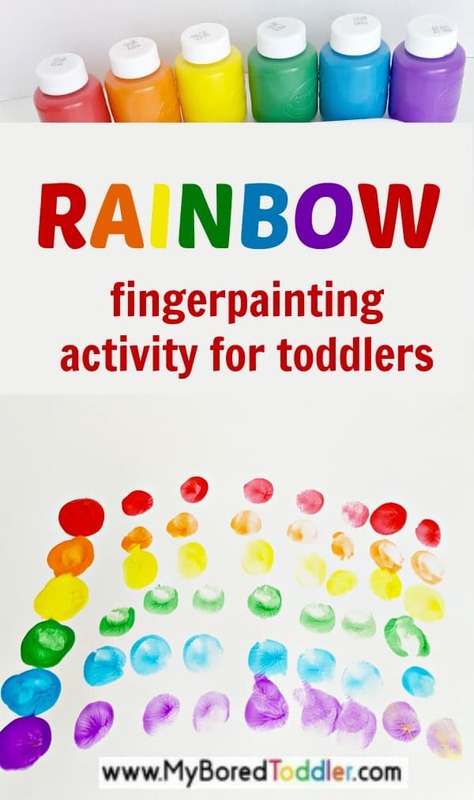 We have been having so much fun with our painting activities lately and this finger painting rainbow has quickly become a favorite. Hands-on activities like these are definitely the ones that toddlers look forward to most. They like to dig in, touch-and-feel, and maybe get a little messy! 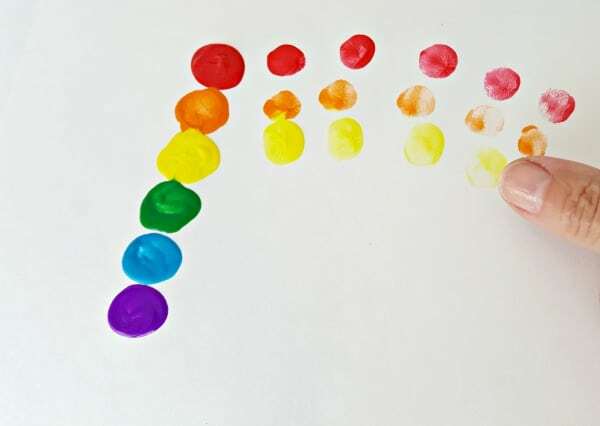 This simple finger painting rainbow activity is a fun hands-on sensory experience that explores all the colors of the rainbow. 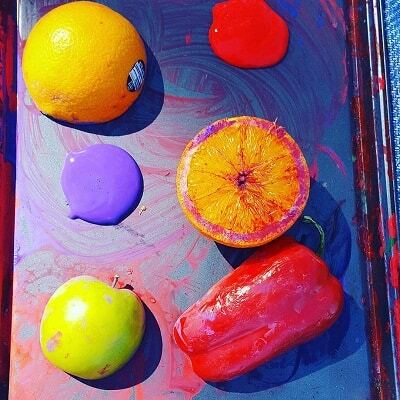 Often when toddlers paint they want to use all of the colors available and this activity gives them that chance. Painting a rainbow is a perfect opportunity to use several different colors to make a beautiful picture.and explore their imagination and creativity. 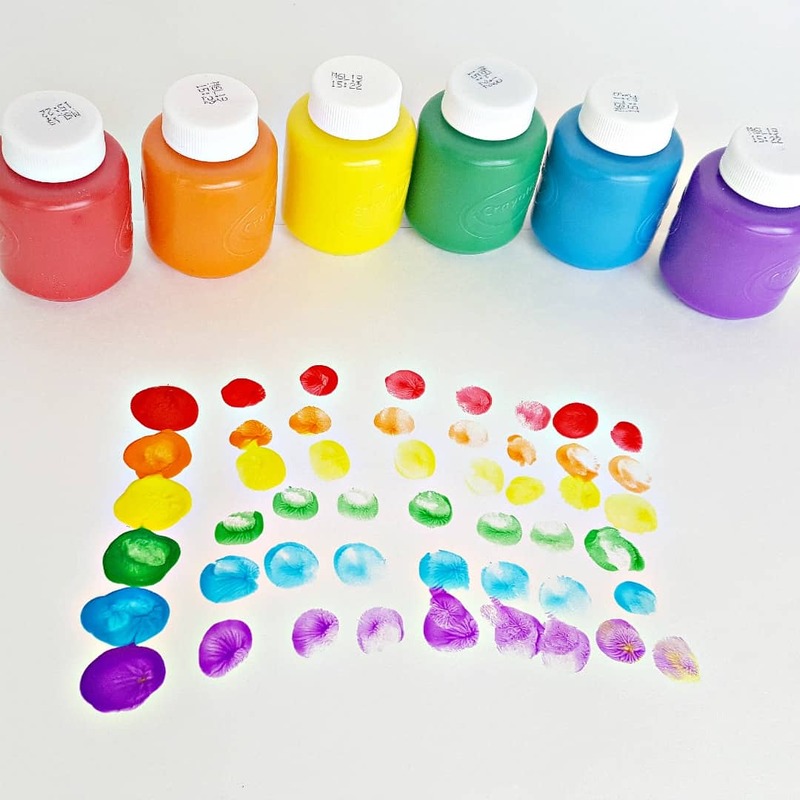 Washable paints in rainbow colors. I really like these ones. Use cotton swabs to place a dab of each paint color on a large sheet of paper. This is great fine motor work for toddlers. Provide some assistance to your child if needed – but not too much!– to transfer all the paint colors onto the paper. Start with red and add the colors in order as they appear in a rainbow. If a color is missing from your art supplies, experiment with mixing two colors to make another color. Kids will be excited with this process, to see how a new color is created. 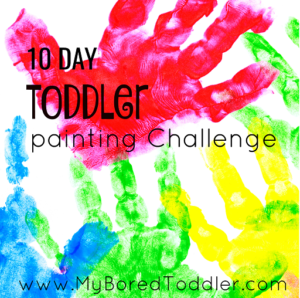 Show your toddler how to put a fingertip in each paint color and make dabs across the paper. Return to the original dab of paint as needed to ‘reload’ the fingertip. 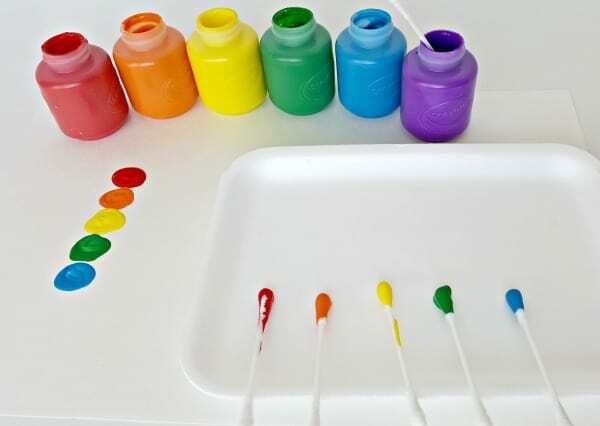 Add more paint with the cotton swabs as needed. Have a damp cloth on hand to wipe fingertips when changing from one color to another. Your toddler might want to swipe across the page with the cotton swab rather than use fingertips. This would be another great option for making a rainbow! Engage your child in conversation as you participate in this activity together. 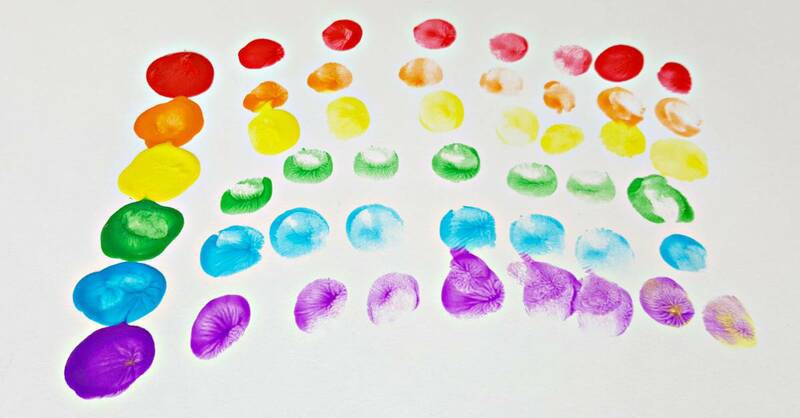 Count the dabs of each color you add to the paper with your fingertips. 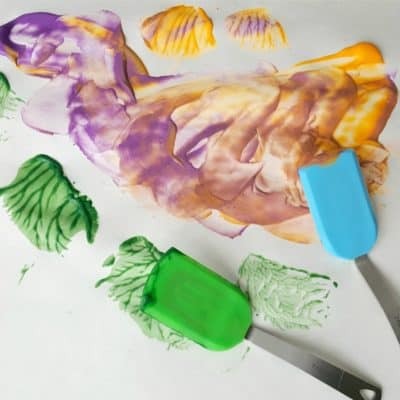 Finger painting is one activity that is easy to set up and fun to do with your toddler. Enjoy painting rainbows to decorate your home or classroom for spring! Don’t forget to share photos of your finished activity in our Facebook group and over on Instagram – use #MyBoredToddler so we can all see! You can also subscribe to our newsletter for weekly toddler activity ideas!